HYBRID THREATS: In a new analysis, Senior Research Fellow Patrick Cullen describes how hybrid threats – for example disinformation, influence campaigns and hacking attempts targeting critical infrastructure – are particularly challenging for those who are to surveil threats and report potential danger. 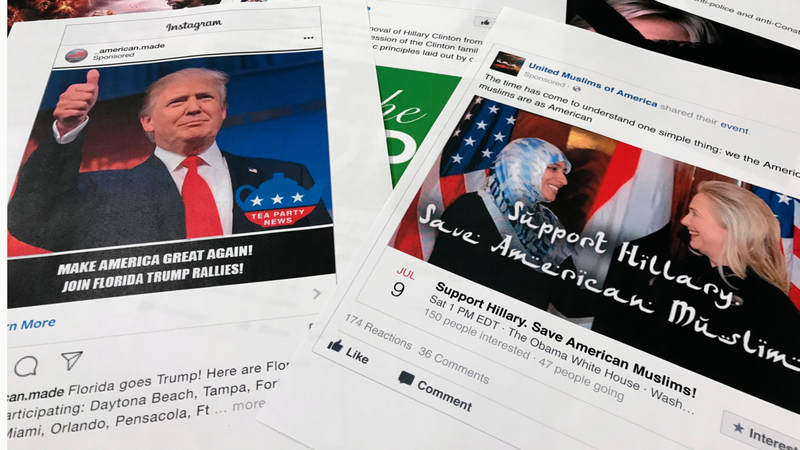 The photo shows Facebook and Instagram ads linked to a Russian effort to disrupt the American political process. Coordinated and synchronised action, that deliberately targets democratic states’ and institutions systemic vulnerabilities, through a wide range of means (political, economic, military, civil, and information). Activities exploit the thresholds of detection and attribution as well as the border between war and peace. In a new analysis for The European Centre of Excellence for Countering Hybrid Threats (Hybrid CoE), Senior Research Fellow Patrick Cullen (NUPI) describes how hybrid threats – for example disinformation, influence campaigns and hacking attempts targeting critical infrastructure – are particularly challenging for those who are to surveil threats and report potential danger. Download the strategic analysis, Hybrid threats as a new ‘wicked problem’ for early warning, here. ‘Early warning’ is a key term in intelligence, meaning that government and inhabitants get early notice if something dangerous is about to happen, like an attack on the homeland. Hybrid threats represents a relatively new type of problems to early warning, known as ‘wicked problems’. 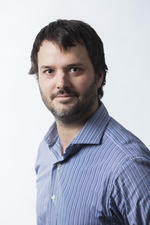 ‘Wicked problems are problems that are so complex that trying to solve them creates new problems,’ explains Cullen. Begrepet ble en del av etterretningsordboken i kjølvannet av terrorangrepene på USA 11. september 2001. Ifølge Cullens analyse, gjør disse gjenstridige problemene gjør at etterretningsfolk må tenke mer kreativt når de utarbeider metoder for å avdekke og finne løsninger på truslene. The term entered the warning lexicon after 9/11. According to Cullen’s analysis, these wicked problems call for intelligence to be more creative when developing ways to reveal and meet threats. Russia’s interference in the U.S. presidential elections, with the use of targeted Facebook ads is a well-known example on how a hybrid threat takes place. 'During the cold war, we looked at the adversary’s military capabilities. Now we need to take a closer look at the non-military stuff,’ says Cullen. According to him, one characteristic of the wicked problems posed by hybrid threats is that one is often unable to actually spot the threat before the effect manifests – for instance in civil society. Hybrid threats and hybrid warfare can also take place in the economic sphere. ‘Foreign direct investments, for instance. Since the Cold War, we’ve tried imagining trade as trade and politics as politics. In a different political environment where trust is decreasing, you have to start thinking of security ramifications of different deals,’ says Cullen. According to Cullen’s analysis, some intelligence agencies are experimenting with new methods and practices to develop a hybrid threat situational awareness.